Since the PUG’s beginning in 1990 we have been recognizing high achievers in our industry who have helped to increase the importance of GIS in petroleum or those who have done amazing things for the PUG organization. The “PUG Outstanding Achievement Award” is to recognize those who have the passion for GIS in petroleum and/or demonstrate very high dedication to the PUG community. The 2017 Outstanding Achievement Award was presented to Andy Bohnhoff from Anadarko Petroleum. Andy is very active in the local PUG community in the Rocky Mountain region. He has hosted many of the Rocky PUG regional chapter meets. He has been a champion for leveraging of GIS for oil and gas. This has been recognized by many members who nominated him for this award. For her tireless efforts promoting Petroleum User Group advocacy in the GIS community, Melissa Denney was awarded the 2016 “Outstanding Achievement” award at the Esri Petroleum Conference. 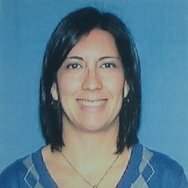 Melissa is a founding member of the Houston Regional PUG who has enriched the professional experiences of geospatial professionals through coordinating numerous presentations, seminars and panel discussions on topics such as mobile solutions for GIS, visualization of big data, and industry specific linear referencing. The 2015 “Outstanding Achievement” award was presented to J. Scott Sires for his dedication to the field of GIS education and the PUG. 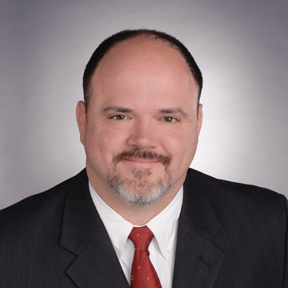 Scott is Lead Faculty & Geospatial Technology Coordinator for Brookhaven College and has 30 years of industry experience. Besides the PUG, Scott’s industry outreach includes: Geospatial Technology Curriculum Chair, Higher education geospatial technology curriculum development for THECB (2005), TSTC (Waco 2002-04) and DCCCD (BHC current), Texas Skills Standards Board (TSSB) project developing performance criteria for GIS Technicians (2007), Co-founder South Central Arc User Group (1990), GITA Industry Trends Analysis Group (ITAG) (2007), GITA chapter officer (1994-98, 2003-2006), Esri Education conference plenary presenter (2012). 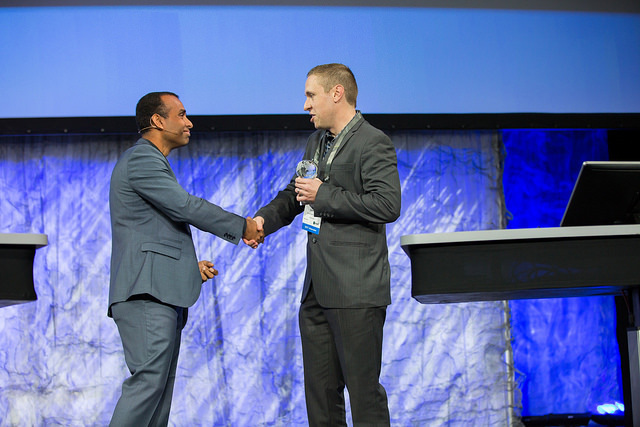 The 2014 “Outstanding Achievement” award was presented to Andrea Le Pard at the Esri Petroleum Conference. Andrea has been active in the PUG since 2010, first serving on the European PUG committee before moving to Houston and being elected to the Global PUG Steering Committee in June of 2012. Andrea served her first year on the committee as Co-Chair. She became Chairman in June 2013, and led the global PUG organization in defining “The New PUG”. This effort included branding of The New PUG with a new logo and web site, which helped highlight the efforts that the PUG was focused on. At the 2013 Esri UC, the PUG Steering Committee presented Brian Boulmay with the “Outstanding Achievement” award. After dedicating 13 years of service to the PUG, Brian has made the tough decision to step down from his position as PUG Steering Chairman. During his tenure with the PUG he held the positions of Chairman, Co-Chair and Treasurer and was a committed PUG community member long before joining the Steering Committee. When Brian joined the PUG Steering Committee he saw an opportunity to move the PUG organization to the next generation; to move beyond holding a once-a-year conference and become an industry organization committed to improving the use of GIS and Geospatial technologies in the Petroleum industry. He has worked tirelessly to build the momentum to move the group in this new direction. Along the way he has recognized the strengths that his peers have brought to the table and pulled out the best in those around him to help achieve the new PUG mission. It is because of this commitment and dedication that Brian has received this award for Outstanding Achievement! The PUG Steering Committee has an award to recognize the hardest worker on our committee each year. The recipient is selected by the current Chairman and Co-Chair, and awarded at the annual PUG Steering Committee planning session held in June. 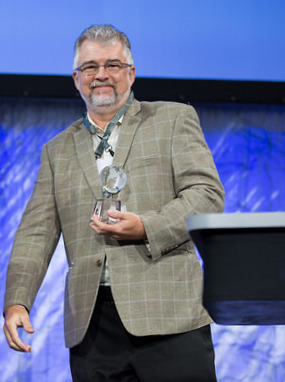 Chris received the “High Achiever Award” at the Esri Petroleum Conference for his dedication to the PUG Steering Committee above and beyond his defined duties as Workflows Chair. Chris has helped to define and document common GIS workflows within the petroleum industry to help business stakeholders understand the importance of GIS throughout the entire value chain. Chris helped to coordinate submissions from industry subject matter experts and publish reviewed deliverables on the PUG website for all segments of oil & gas including exploration & appraisal, development & planning, land, operations, pipeline & facilities, environmental and emergency response. 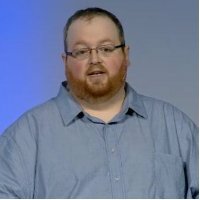 Scott joined the PUG Steering Committee in 2012 and took on the role of Technical Chair, where he was responsible for leading the Technical workgroups and managing the PUG List. Scott hit the ground running, immediately taking action on the List making List cleanup his number one priority throughout the year. He built a volunteer List workgroup and led them to review and cleanup the List items by contacting the initial submitters and working with Esri to determine completion. He also recommended we begin utilizing the Esri Ideas website rather than managing the List items on our own. On top of that, he managed to re-fire a number of Technical Workgroups who are working together to define technical needs and workflows for our industry. 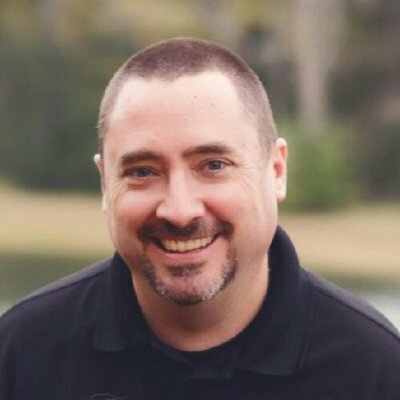 Scott’s good work has brought the importance of the technical work back to PUG. 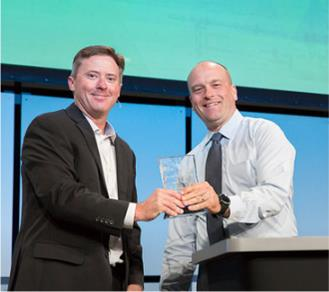 Brian received the “Making a Difference Award” at the Esri Petroleum GIS Conference for his dedication to the science, profession and practice of GIS in Oil and Gas. He is known across the industry as a champion for spatial thinking and application of geospatial workflows and technology in safely exploring and producing hydrocarbons. As a Global Geospatial Advisor for BP, he has affected systemic change in the way BP uses GIS across all disciplines. 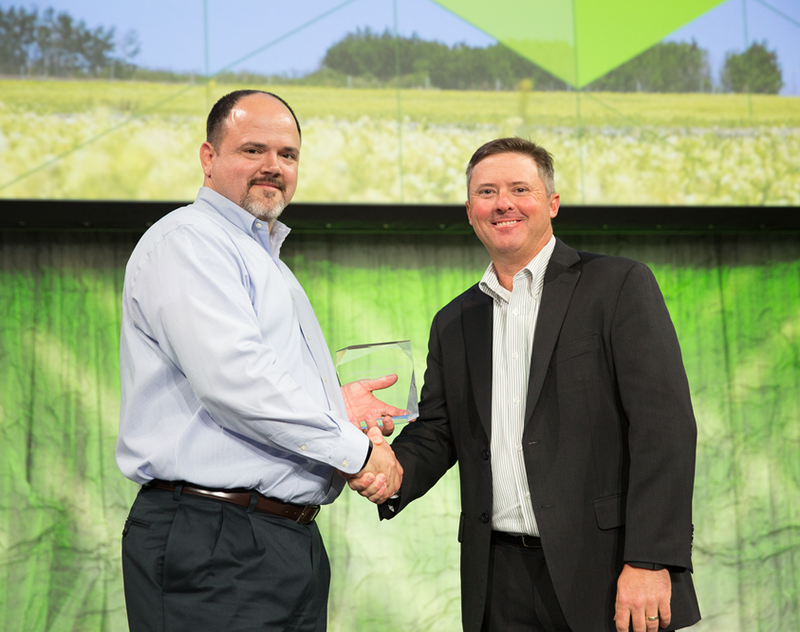 Jacob received the “Making a Difference”award at the Esri Petroleum Conference for excellence in refining and sharing GIS patterns and practices in the petroleum industry. By applying the latest Esri tools and technologies, Jacob has continued to push the boundaries of how geospatial methods can impact the way our industry operates. From pragmatic methods of deploying GeoEvent Processor for real-time water management to leveraging Drone2Map to streamline aerial imagery data capture, Jacob strives to integrate the latest Esri components in ways that improve operations and streamline business processes. Most importantly, Jacob is always eager to share his expertise and experiences with the PUG community in ways that truly make a difference. For the 25th Anniversary of the gathering of the Petroleum User Group, Keith Fraley received the Slinkard Award. Esri recognized Keith Fraley for his outstanding dedication to PUG ideals, demonstrating expertise in GIS, especially as it pertains to oil spill contingency planning, and passionately sharing his knowledge with the petroleum community.